Nocatee residents, who have already shown their love for eco-friendly transportation, will help America celebrate National Drive Electric Week by utilizing their community’s extensive trail system. Nocatee is the first planned community in Northeast Florida to be Electric Vehicle (EV) approved, providing alternative transportation for residents to travel anywhere within Nocatee. In February of 2010, the first three miles of the new Greenway trails were inaugurated, connecting the neighborhoods of Coastal Oaks, Del Webb Ponte Vedra, Tidewater and Willowcove to the Nocatee Community Park, the Splash Water Park and the Nocatee Town Center. 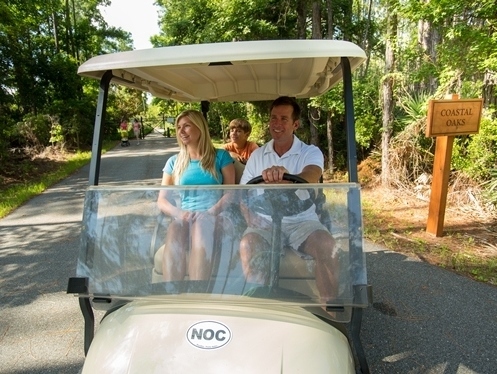 Electric cart paths will one day connect all Nocatee neighborhoods, providing easy access to all of Nocatee’s amenities. The interconnecting trail system includes miles of multi-use 16-foot-wide pathways along with 1200 feet of bridges that will meander throughout the wetlands. Consisting of over 5000 acres of parks, wetland preserves and wildlife corridors, the Nocatee Greenway Trails have been carefully laid out to provide residents access to the area's natural splendor. Most paved roadways are enhanced with biking and jogging trails, and an extensive network of unpaved nature trails lead one on a journey through some of the most breathtaking natural scenery that Florida has to offer. More than 60 percent of Nocatee's land has been set aside and designated permanent preserves, never to be developed. This environmentally sensitive land is home to a wide variety of flora and fauna. American bald eagles, gopher tortoises, wood storks and Sherman's fox squirrels and other various wading birds have all been spotted along Nocatee’s trails. Nocatee residents that want to celebrate this week will not have to travel far to gather with local organizations and individuals. A free Jacksonville area event on Thursday, September 18, will be sponsored by JEA and the North Florida Clean Fuels Coalition, and Whole Foods. 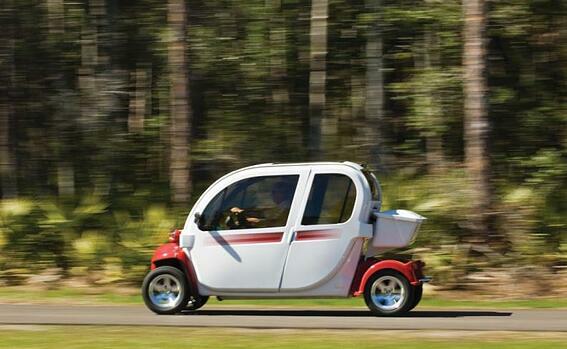 For Nocatee residents, Nocatee’s EV Trails and Paths are a valued and integral part of the local community.